The following list provides you with detailed information on tools that you can run on Windows PCs using nothing but a short name that is associated with them. This is the third part of the administrative tools series here on Ghacks. The first two parts looked at Control Panel shortcuts, and Microsoft Management Console snap-ins such as services.msc. This article is all about shortcuts that you can run to start various tools on the Windows operating system. Note that most shortcuts work in all versions of Windows, but that some may be reserved to certain versions. 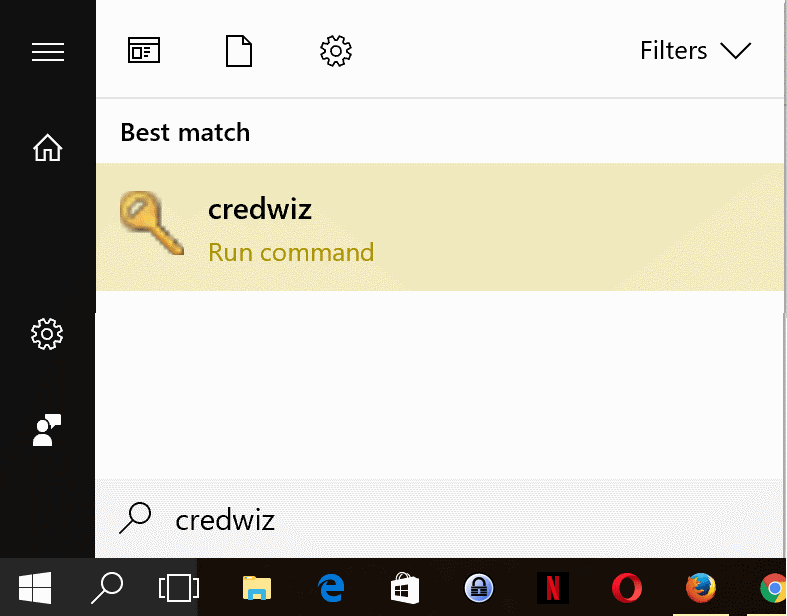 Depending on the version of Windows that you are using, you may either run most commands directly from Start, or by using the run box (Windows-R) or command prompt. These shortcuts allow you to run administrative Windows tools, some programs, and open some folders, directly from Start or the Run box. charmap Character Map Loads the Character Map which enables you to browse and copy characters. cmd Command Prompt Loads the Command Prompt window to work on the command line. colorcpl Color Management Manage displays and color profiles. dcomcnfg Component Services Loads the Component Services management interface. dfrgui Optimize Drives List connected drives, optimization status, and option to analyze or optimize manually. dpiscaling DPI Scaling Opens the DPI preferences. dxdiag DirectX Diagnostic Tool Run diagnostics on the system’s DirectX capabilities. eudcedit Private Character Editor Create letters or logos for your font library. eventvwr Event Viewer Opens the Windows Event Viewer. mrt Microsoft Windows Malicious Software Removal Tool Loads the Malicious Software Removal Tool to remove viruses and other dangerous files. msconfig System Configuration Configure startup and boot, and services. msinfo32 System Information Displays information on system hardware, and software. optionalfeatures Windows Features Loads Windows Features to turn features on or off. Systempropertiesperformance Performance options Tweak performance related settings. While you may have no need for all of the tool shortcuts, some may come in quite handy, especially if you can work them in your workflow as it would take longer to load some of the tools or features using other methods. LOL! so true. But is it worth remembering a short name for a tool we’ll use at most once only (to download another browser than IE)?! Thanks for the PrintFriendly idea, Tom. That’s a great tool. Also, thank to Martin for another great list. Sysinternals tools suite (pstools) makes for a complimentary list. Maybe more geared at sys/net admins but still pretty handy and powerful. Tools can be downloaded individually or as a package. Usually “installed” in system path but otherwise portable. Fairly up to date. I also like xxcopy: still on top after 20 years. Sadly the owner/developer of xxcopy has recently died, and I know of no resolution to that situation. The news saddens me. This was a talented fellow. RIP. Thanks for the M/S Windows tool lists. Detailed, concise and useful. The folks at work also appreciate the lists. winver is really helpful to check what build of win10 you are on. I’ve posted an Excel workbook at Dropbox that contains a listing of 243 Windows Run commands. It includes 11 new run commands taken from your article. The workbook is free – no ads, no cookies, no registration. Great resource James, thanks for posting. I add some to the table that I missed. “printui” as previously referenced by ‘buffer’ above is not listed although it is available at least in Windows 10 x64 CU Home edition. Some commands are legacy : MS dropped them. Great resource, stil. The list of Excel programs/workbooks, provided at Dropbox, changes ever so often. Yes, Ghacks is the most useful resource for nearly everything. What I find amazing are the admins I watch who know all of the Control Panel, Microsoft Management Console, and MS Tools commands already–like in their memories. I think it’s a requirement for any worthy certification. For Nirsoft tools, most admins I work with write their own batch files on the fly and have little need for Mark’s worthwhile contributions. I do find Linux admins in short supply maybe because there is infinitely more detail in the commands, variety, switches, etc. And then we have the real backend folks . . . out of my league and well paid. Here is one that I stumbled on not too long ago. It doesn’t seem to be super common knowledge! I’ve been looking for this for literally YEARS! THank you!! Any idea how to turn this into a windows shortcut lnk file?